It is September and the kids are back in school. It is always an exciting time of year as children learn new routines, meet new classmates, and get to know their teachers. Some children may be nervous about meeting a new teacher. “Will they like me?” “Do they assign a lot of homework?” “Are they any fun?” These are just some of the questions that your children may ask. We have all had different types of teachers at school. My third grade homeroom teacher played the guitar, loved math and infused me with a life-long love of reading. In seventh grade, my language arts teacher was very stern and had a long list of rules. Although I was frustrated with her approach, I learned that her strict demeanor actually encouraged me to work harder. As the school year starts, remind your child to keep an open mind. 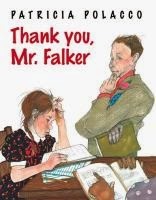 Below are a number of books that may ease your child’s worries about their new teacher. Hopefully, they will see there are many wonderful teachers who may appear at first to be scary but in the end are one of the best teachers at school. Bobby thinks his teacher, Ms. Kirby, is horrible but, when he sees her outside of school and they spend a day in the park together, he discovers she might not be so bad after all. 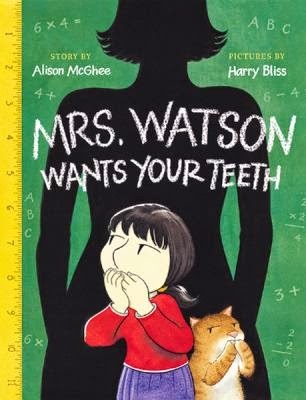 Mrs. Watson Wants Your Teeth by Alison McGhee. A first-grader is frightened on her first day of school after hearing a rumor that her teacher is a 300-year-old alien with a purple tongue who steals baby teeth from her students. 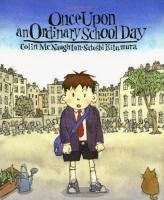 Once Upon an Ordinary School Day by Colin McNaughton. Colin's day started out like every other day - his breakfast was ordinary, his walk to school was ordinary, even his thoughts were ordinary. But the new teacher at school changed all that when he told the class about an extraordinary idea. A celebration of extraordinary teachers! 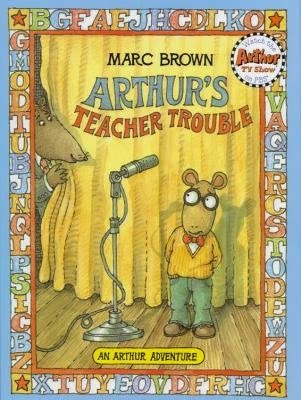 Arthur's Teacher Trouble by Marc Brown. 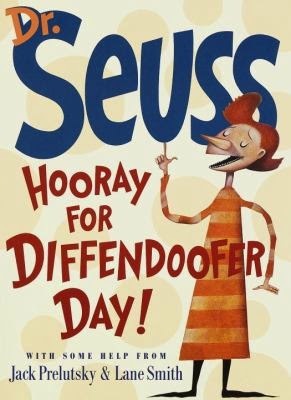 Hooray for Diffendoofer Day! by Dr. Seuss. At first Trisha loves school, but her difficulty learning to read makes her feel dumb, until, in the fifth grade, a new teacher helps her understand and overcome her problem. 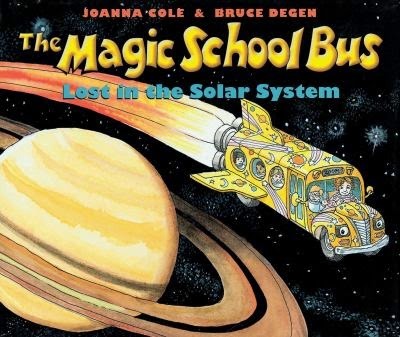 The Magic School Bus, Lost in the Solar System by Joanna Cole. Because of Mr. Terupt by Rob Buyea. Night of the Spadefoot Toads by Bill Harley. When his family moves from Tucson, Arizona to Massachusetts, fifth-grader Ben has a hard time leaving the desert he loves. 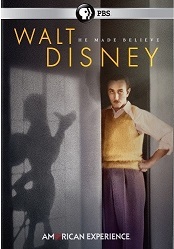 When he finds a kindred spirit in his science teacher and ends up trying to help her with some of her problems, he finally begins to feel at home. The Fabled Fourth Graders of Aesop Elementary School by Candace Fleming. 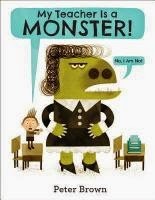 An unlikely teacher takes over the disorderly fourth-grade class of Aesop Elementary School with surprising results. The Landry News by Andrew Clements. The Secret School by Avi. When the unconventional English teacher who helped her conquer many of her feelings of insecurity is fired, thirteen-year-old Marcy Lewis uses her new found courage to campaign for the teacher's reinstatement.